Beautiful waterfalls, sparkling ponds and glistening streams, Anthem Country Club offers some of the most beautiful sceneries in Las Vegas. 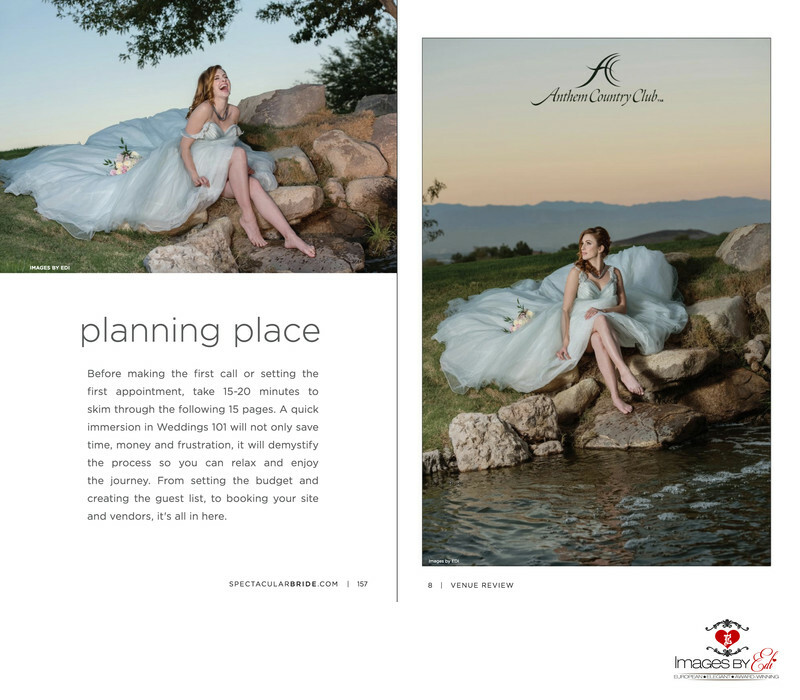 To highlight some of their favorite water features throughout the property, Spectacular Bride Magazine enlisted Images by EDI to capture these gorgeous wedding fashion portraits. Our beautiful bride, Tina is wearing a flowing chiffon ball gown with lace floral straps from Brilliant Bridal. Her hair and sophisticated makeup was created by Makeup in the 702. The images were captured right after sunset by the lake.